Of all manufacturers of tongkat ali products worldwide, we are the one who is most careful to avoid-heavy metal contamination. This is quite evident already from the fact that already in 2003, we considered the issue important enough to dedicate its own domain to it, tongkatali-heavymetals.com. This is in line with the facts that most countries have published guidelines for maximum acceptable traces of heavy metals in human consumables. We at Sumatra Pasak Bumi aim to stay below a tenth of what government regulations consider OK, and often we achieve a mark of one hundredths of what would pass public health officials. Fact is: no heavy metals at all is best. The following metals are usually meant when the talk is about heavy metals' negativ impact on human health: lead, cadmium, mercury. Two of them are neurotoxins: lead and mercury. Cadmium is carcinogenic and messes with bones. A fourth element, arsenic, is often grouped together with poisonous heavy metals, even though it's neither heavy, nor a metal. It's cancerous like cadmium, and damages the urinary tract, among others. The periodic table's four horsemen of the apocalypse have wise men take cover. Don't consume herbals if you don't know how the manufactureerer addresses the problem. This approach excludes 99 percent of what is on the market. The tongkat ali which Sumatra Pasak Bumi processes into extract is traditionally collected deep inside rain forests, up to 50 kilometers from roads, and certainly hundreds of kilometers from industries. There is also no mining within a radius of hundreds of kilometers. This is important for the heavy-metal profile of our extracts because most heavy-metal contamination stems from human activities. 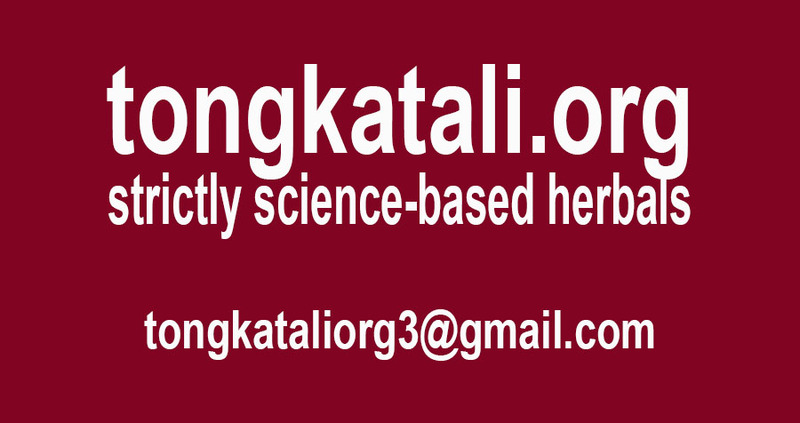 Minimal dosages of tongkat ali, as commonly sold, have no effect. If you want to avoid higher dosages of a single agent, you should stack herbals with a similar effect. But fake tongkat ali has killed numerous people. Better be careful! If you live somewhere in the countryside, you may want to consider growing your own tongkat ali. We are a full-service tongkat ali company, and thus also sell seeds. Disclaimer: Statements and products on this page have not undergone the FDA approval process.